Written by Jin Chan Shi (金禅师). 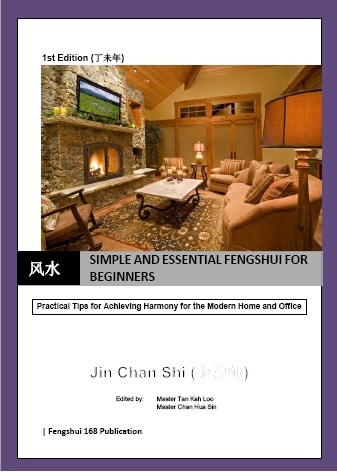 Jin Chan Shi and his masters have been practicing Bazi and Fengshui for almost a century and have written a short book on Fengshui. This book is to help beginners to absorb the most fundamental but important Fengshui techniques and transform their lives for the better. Fengshui and similar arts have been practiced in the Far East for more than few thousand years. Fengshui is a very logical and scientific body of ideas and theories. This body of knowledge was recorded by the ancient sages through keen observations of people, environment and the stars. They documented, compared notes, and birthed this art. Once you understand its fundamental principles, you will be able to produce harmony in almost any situation or environment and that is the most important for any Fengshui practitioner to achieve.